Check out this video of a news story regarding this topic. 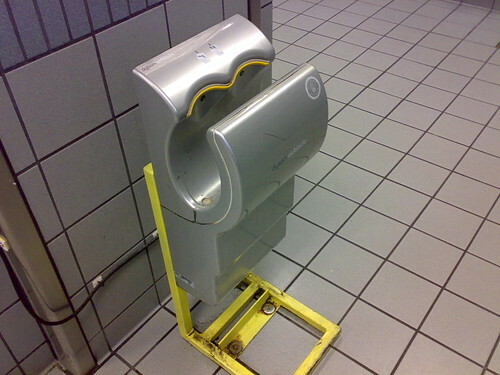 I looked at this topic of hand dryers versus paper towels awhile back and wanted to revisit it again. What I found interesting about the video is the way the testing occurred. Students were asked to touch surfaces that people regularly touch. Buttons on drinking fountains, hand rails, sinks. After watching this video two thoughts really stood out for me. 2) Take steps to not touch things so often. Maybe we need to carry disposable wipes, especially during flu season. Maybe, carrying hand sanitizer could help us keep our hands sanitary. Do people really know how to wash their hands with soap and understand that they need to do this everytime they go to the bathroom, handle trash or in contact with any other people.